Overlooking the Indian Ocean and located next to a lush forest, Essque Zalu Zanzibar in Nungwi features a large outdoor pool and a spa. It offers direct access to the beach. 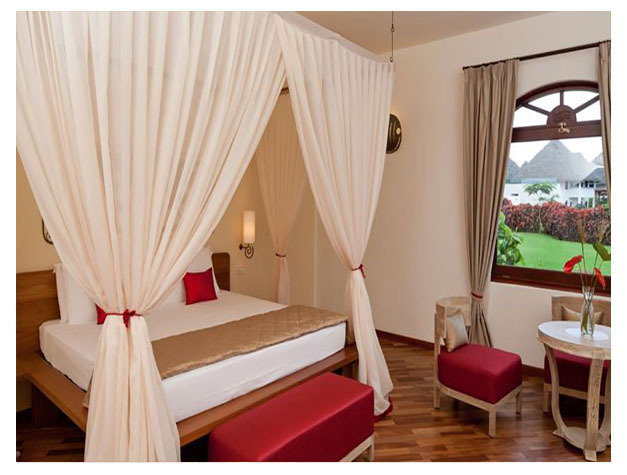 Combining contemporary and Swahili design, the spacious suites are housed under a traditional Makuti roof. They either have views of the ocean or the garden from a balcony or a terrace.All suites are equipped with air conditioning, a minibar and feature a spacious bedroom, a living area and a bathroom with bidet and shower. Essque Zalu Zanzibar has 3 restaurants and 3 bars. Surrounded by the ocean, The Jetty offers modern Arabic cuisine. Fine dining can be enjoyed at A La Carte and The Market Kitchen serves culinary cuisine. Snacks, cocktails and refreshments are available at the stylish 1506 Bar and Terrace, The Jetty and The Baobab Bar. Guests can choose from a variety of massages and beauty treatments at Zalu, which also offers a sauna and a hydro shower room. Other facilities at Essque Zalu Zanzibar include a fitness centre, an art gallery, a kids club, meeting facilities and a ticket service. An array of activities can be enjoyed on site or in the surroundings, including windsurfing, diving and snorkelling. 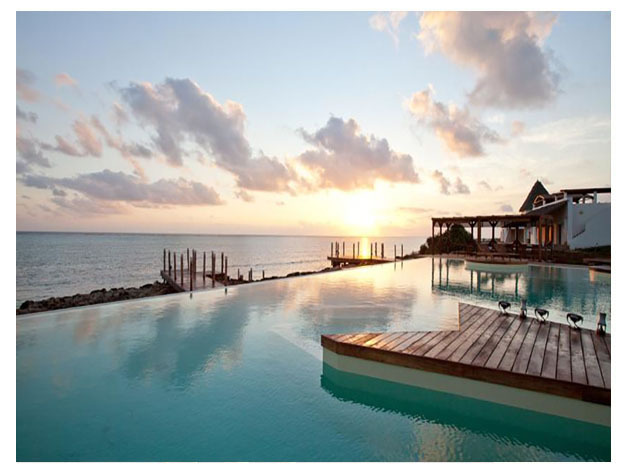 The resort is 63 km from Zanzibar International Airport and 58 km from Stone Town. Airport transfers can be arranged for a surcharge.